People are crazy for apps on different mobile operating systems like Android, iOS or BlackBerry. Everyday millions of apps are downloaded and used by billions of people. 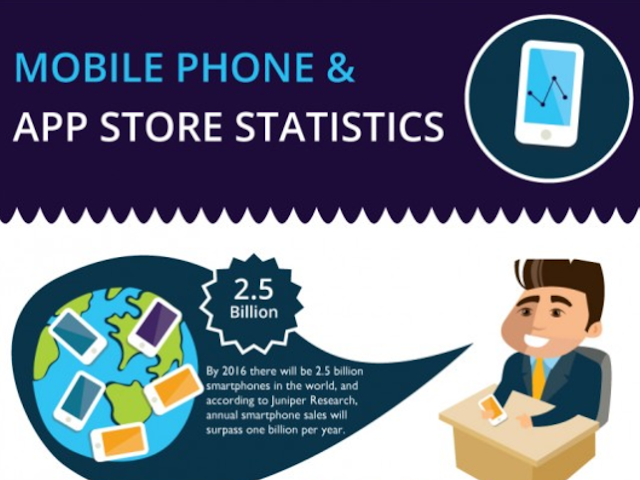 Here is an infographic which shows the statistics on how the app stores really stack up. This cool infographic reveals interstering stats for App store and how the trend is increase over year and year. This Infographic also available in animated Version on Source URL. Have a look into this infographic and give your review in comments.